The bookstore offers books and tutorials written by the members of MBN Research Center, which represent different fields of research activity of the Center and provide the valuable supplementary information for the software products developed by the Center on their utilization and application in different areas of computational research. I.A. Solov'yov, G.B. Sushko, A.V. 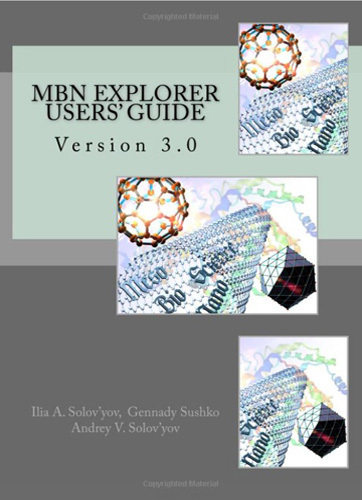 Solov'yov, MBN Explorer Users' Guide: Version 3.0, MesoBioNano Science Publishing, Frankfurt am Main (2017), 264 p.
The MBN Explorer Users' Guide describes how to install and to run MBN Explorer, the software package for advanced multiscale simulations of complex molecular structure and dynamics. This guide includes the description of the main features and the algorithms of the program, the manual how to use the program for specific tasks, the description of all the program commands and keywords, the specification of input information, parameters, files and formats, and instructions on how to handle the program on Windows, Linux/Unix and macOS platforms. I.A. Solov'yov, G.B. Sushko, A.V. Verkhovtsev, A.V. Korol, A.V. 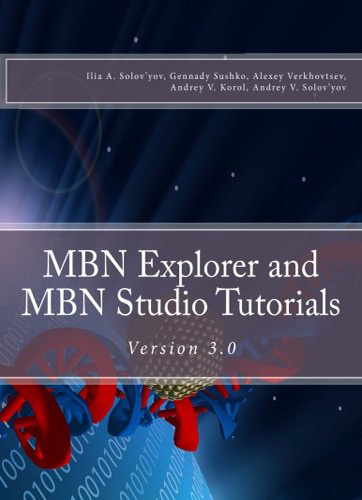 Solov'yov, MBN Explorer and MBN Studio Tutorials: Version 3.0, MesoBioNano Science Publishing, Frankfurt am Main (2017), 288 p.
This book describes the practical exercises with MBN Explorer and MBN Studio software packages introducing and illustrating a broad range of applications of the software in various fields. The standard and unique algorithms for molecular and Monte Carlo dynamics and for optimization of complex molecular systems are introduced and explained in details invoking illustrative case studies. MBN Explorer is a multi-purpose software package for advanced multiscale simulations of complex molecular structure and dynamics. It has many unique features and a wide range of applications in Physics, Chemistry, Biology, Materials Science, and Industry. A broad variety of algorithms and interatomic potentials implemented in the program allow simulations of structure and dynamics of a broad range of systems with the sizes from the atomic up to the mesoscopic scales. MBN Explorer is available for Windows, Linux, and macOS. It is fully parallelized and can be exploited on computer clusters and supercomputers. MBN Studio is a special multi-task software toolkit with a graphical user interface for MBN Explorer. It helps setting up calculations with MBN Explorer, monitoring their progress and examining the calculation results. The graphical utility enables to visualize selected inputs and outputs. A number of built-in tools allow for the calculation and analysis of specific systems' characteristics. A special modelling plug-in allows constructing a large variety of molecular systems built of arbitrary atomic and molecular constituents. 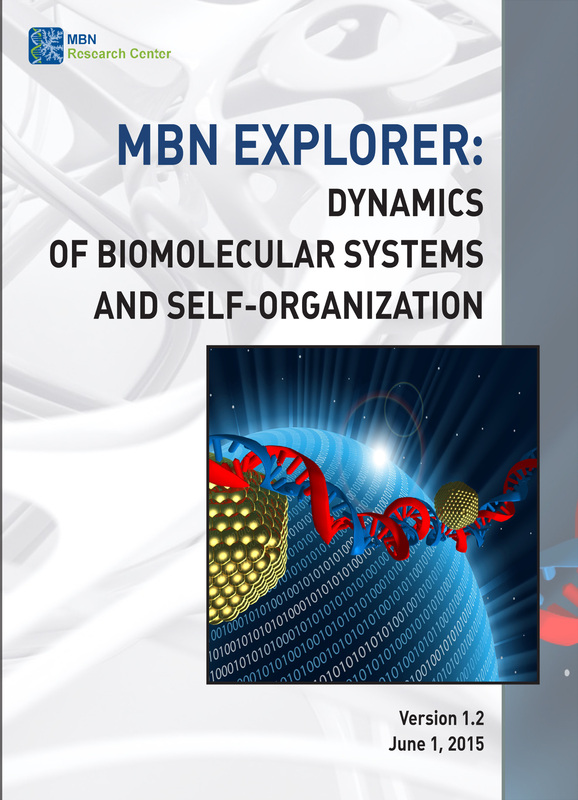 This book introduces readers to MesoBioNano (MBN) Explorer – a multi-purpose software package designed to model molecular systems at various levels of size and complexity. In addition, it presents a specially designed multi-task toolkit and interface – the MBN Studio – which enables the set-up of input files, controls the simulations, and supports the subsequent visualization and analysis of the results obtained. The book subsequently provides a systematic description of the capabilities of this universal and powerful software package within the framework of computational molecular science, and guides readers through its applications in numerous areas of research in bio- and chemical physics and material science – ranging from the nano- to the mesoscale. The book is aimed at scientists, post-graduate and graduate students specializing in the field of theoretical physics, computational physics, molecular and nanophysics, and materials science. This book provides a unique and comprehensive overview of state-of-the-art understanding of the molecular and nano-scale processes that play significant roles in ion-beam cancer therapy. It covers experimental design and methodology, and reviews the theoretical understanding of the processes involved. It offers the reader an opportunity to learn from a coherent approach about the physics, chemistry and biology relevant to ion-beam cancer therapy, a growing field of important medical application worldwide. The book describes phenomena occurring on different time and energy scales relevant to the radiation damage of biological targets and ion-beam cancer therapy from the molecular (nano) scale up to the macroscopic level. It illustrates how ion-beam therapy offers the possibility of excellent dose localization for treatment of malignant tumours, minimizing radiation damage in normal tissue whilst maximizing cell-killing within the tumour, offering a significant development in cancer therapy. The full potential of such therapy can only be realized by better understanding the physical, chemical and biological mechanisms, on a range of time and space scales that lead to cell death under ion irradiation. This book describes how, using a multiscale approach, experimental and theoretical expertise available can lead to greater insight at the nanoscopic and molecular level into radiation damage of biological targets induced by ion impact. The book is intended for advanced students and specialists in the areas of physics, chemistry, biology and medicine related to ion-beam therapy, radiation protection, biophysics, radiation nanophysics and chemistry, atomic and molecular physics, condensed matter physics, and the physics of interaction of charged particles with matter. 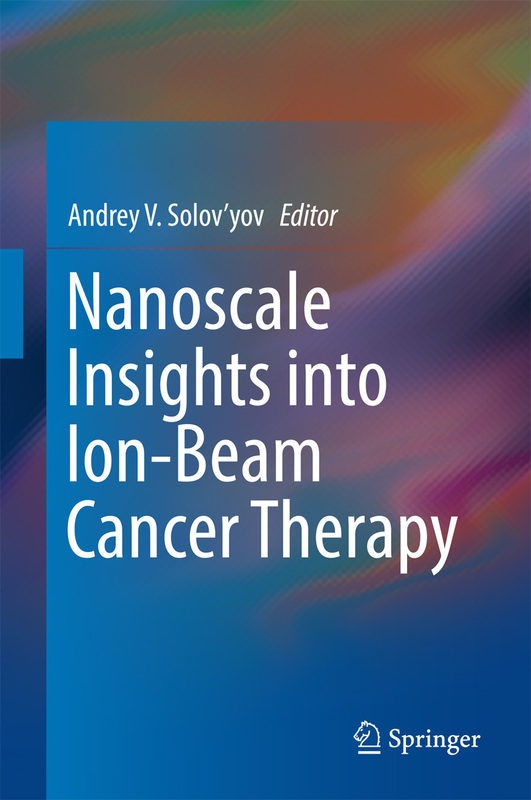 One of the most important features of the book is the inclusive multiscale approach to the understanding of complex and highly interdisciplinary processes behind ion-beam cancer therapy, which stretches from the atomistic level up to the biological scale and is demonstrated to be in excellent agreement with experimental observations. I.A. Solov'yov, G.B. Sushko, A.V. Verkhovtsev, A.V. Korol, A.V. 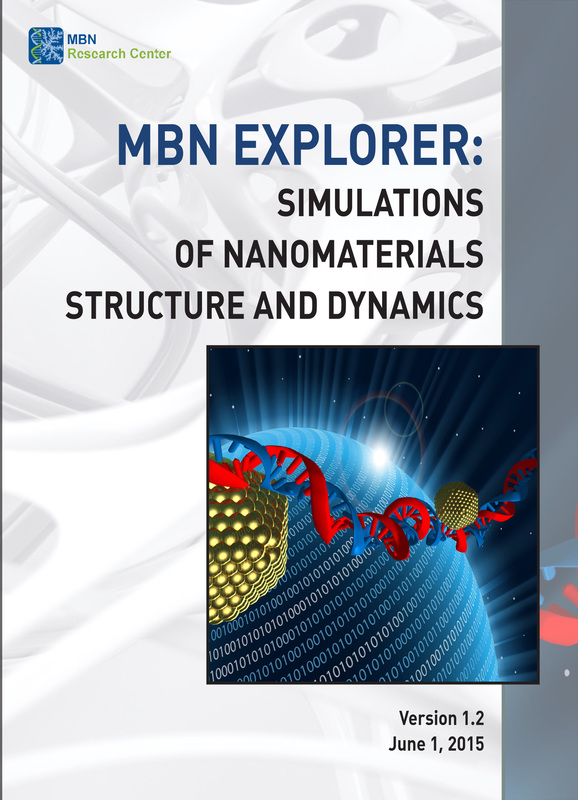 Solov'yov, MBN Explorer: Simulations of Nanomaterials Structure and Dynamics, Polytechnic University Publishing House, St. Petersburg State Polytechnic University, St. Petersburg (2015), 102 p.
The book is a tutorial on the practical use of the software package MBN Explorer suitable for the multiscale modelling of structure and dynamics of complex molecular systems. The standard algorithms of molecular dynamics and optimisation are introduced and explained in details invoking illustrative case studies. The original algorithms implemented in the code are described in a similar fashion. Many different problems arising in studies of nanoscale systems and materials as well as the processes with their involvement are analysed through numerical calculations of the system energy, optimisation of molecular structure accounting for all the atoms in the system. Particular attention is paid to the studies of mechanical properties of nanostructured materials and propagation of particles in a medium by means of modern methods of molecular dynamics. The book is aimed at scientists, post-graduate and graduate students specializing in the field of theoretical physics, computational physics, molecular and nanophysics, materials science, as well as for teaching these disciplines in English. I.A. Solov'yov, G.B. Sushko, A.V. Verkhovtsev, A.V. Korol, A.V. 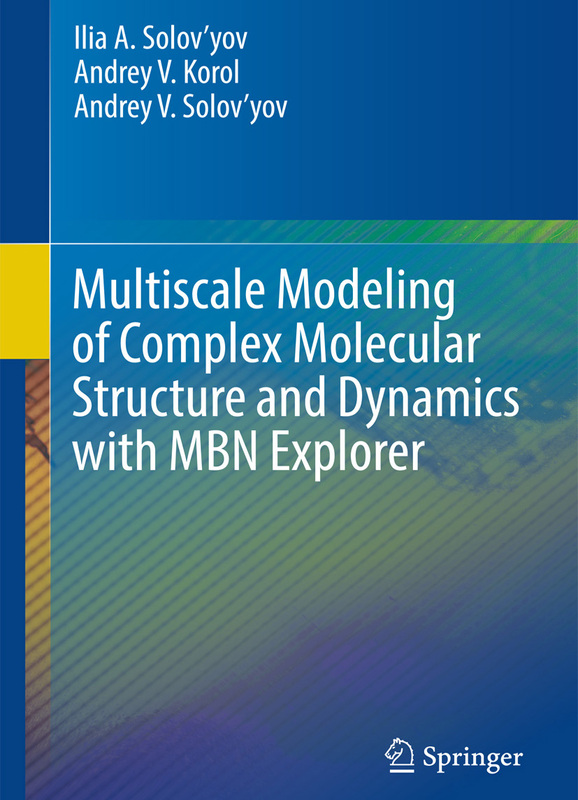 Solov'yov, MBN Explorer: Dynamics of Biomolecular Systems and Self-organization, Polytechnic University Publishing House, St. Petersburg State Polytechnic University, St. Petersburg (2015), 112 p.
The book is a tutorial on the practical use of the software package MBN Explorer suitable for the multiscale modelling of structure and dynamics of complex molecular systems. The standard algorithms of molecular dynamics and optimisation are introduced in the book and explained in details invoking illustrative case studies. The original algorithms implemented in the code are described in a similar fashion. Many different problems arising in the studies of physical, chemical and biological systems and the processes occurring therein are analysed through numerical calculations of the system energy, optimisation of molecular structure accounting for dynamics of all the atoms in the system. The Monte Carlo approach is also introduced and applied to a number of case studies. Particular attention is paid to the problem of self-organisation in bio- and nanosystems and to the modelling of formation, growth and fragmentation of nanosystems, and in particular nanofractals and nanowires. The book is aimed at scientists, post-graduate and graduate students specializing in the field of theoretical physics, computational physics, molecular, bio- and nanophysics, materials science, as well as for teaching these disciplines in English. 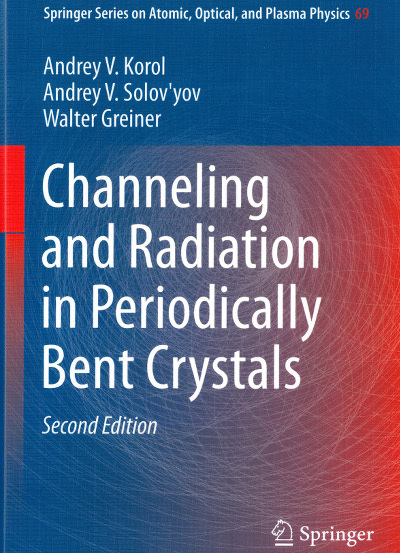 In this book we present recent advances in the theory of Polarizational Brems-strah-lung (PBrS) of structural particles (atoms, ions, clusters, etc) as well as of the related phenomena occurring in collisional processes. The first theoretical predictions and experimental evidence of the PBrS phenomenon were made in the 1970-1980th. More reliable quantitative description of this type of radiation has become possible in the last two decades due to the rapid development of computational facilities. Within this period a number theoretical, numerical and experimental studies have been performed aimed at better understanding of the process. In this book we review the results of this research as well as of the earlier works in which the key ideas were formulated. one can extract information on the interaction of the colliding particles, on their structure and dynamic internal properties. Accurate quantitative description of the radiative mechanisms allows one to determine radiative energy losses of particles in various media, which is needed, for example, for the plasma diagnostics, astrophysical applications, medical applications which involve radiation therapy, etc. The phenomena considered are of fundamental character and of general physical interest. This book is a revisited and extended edition in comparison with the earlier book published in Russian. Development of coherent radiation sources for a wavelength below 1 Ångstrom (i.e. in the hard X-ray and gamma ray ranges) is a challenging goal of modern physics. Sub-angstrom wavelength powerful spontaneous and, especially, coherent radiation will have many applications in basic science, technology and medicine. In particular, they may have a revolutionary impact on nuclear and solid-state physics as well as on life sciences. The present state-of-the-art lasers are capable for emitting electromagnetic radiation from the infrared to ultraviolet range of the spectrum. Currently, there is one Free-Electron Laser (FEL) facility operating in the X-ray range (the wavelength of about 1Å). Several other facilities are either under construction or undergoing advanced technical design work. Moving further, i.e. into the hard X-ray or/and gamma ray band, is not possible without new approaches and technologies. The book presents and discusses one of such novel approaches. The main phenomenon addressed is the radiation formed in a Crystalline Undulator. In this device, the electromagnetic radiation is generated by a bunch of ultra-relativistic particles channeling through a periodically bent crystalline structure. Such a system becomes a source of intensive spontaneous monochromatic radiation and, under certain conditions, also a source of the laser light. A laser based on the crystalline undulator could produce photons in the energy range from tens to hundreds of keV up to MeV region. Thus, its photon energy range starts where conventional FEL devices tail-off. The book presents the underlying fundamental physical ideas as well as the theoretical, experimental and technological advances made during the last one and a half decades in exploring the various features of crystalline undulators and the radiation formed in them. 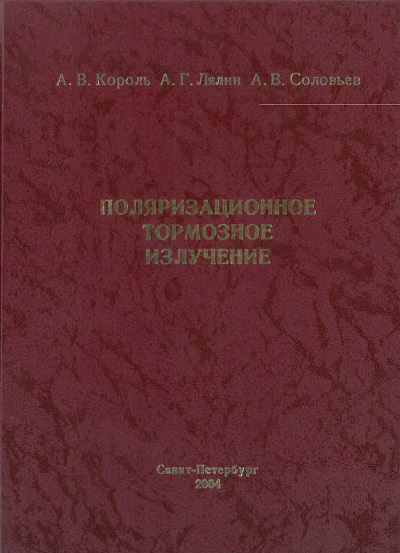 The book is addressed to a wide audience of researches and students since the phenomenon of crystalline undulator entangles the concepts from various research fields, such as material science, beam physics, physics of radiation, solid state physics, acoustics, etc., whereas its investigation implies the use and further elaboration of a variety of theoretical and computational methods, experimental techniques, and technological and engineering approaches. A.V. 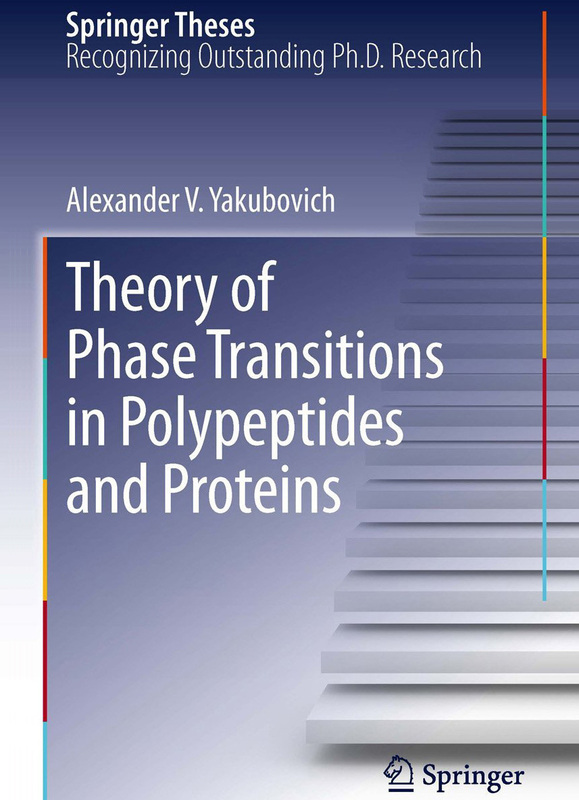 Yakubovich, Theory of Phase Transitions in Polypeptides and Proteins, Springer Theses series, Springer-Verlag Berlin Heidelberg (2011), 121 p.
The thesis presents the first physically motivated quantitative description of the protein folding/unfolding transition. The thesis starts by investigating the fundamental degrees of freedom in polypeptides that are responsible for the conformational transitions. This knowledge is then applied in the statistical mechanics description of helix↔coil transitions in polypeptides. Finally, the theoretical formalism is generalized to the case of proteins in an aqueous environment. The major novelty of this work lies in combining (a) a formalism based on fundamental physical properties of the system and (b) the resulting possibility of describing the folding↔unfolding transitions quantitatively. The clear physical nature of the formalism opens the way to further applications in a large variety of systems and processes. J.-P. Connerade and A.V. Solov’yov (eds. 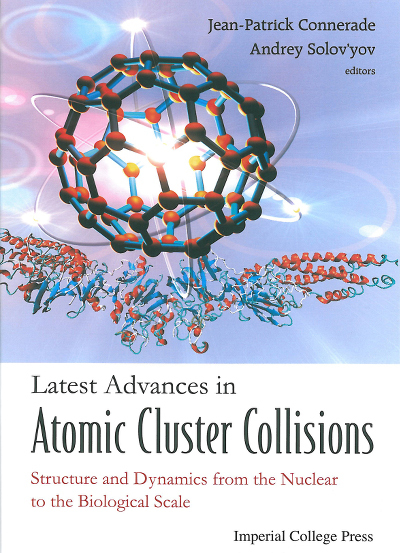 ), Latest Advances in Atomic Clusters Collision: Structure and Dynamics from the Nuclear to the Biological Scale, Imperial College Press, London, UK (2008); distributed by World Scientific (2008), 460 p.
This book presents a comprehensive review based on contributions by the participants of the 2nd International Symposium on Atomic Cluster Collisions (ISACC 2007) held in July 19–23, 2007 at GSI, Darmstadt, Germany. The purpose of the Symposium is to promote the growth and exchange of scientific information on the structure and properties of nuclear, atomic, molecular, biological and complex cluster systems studied by means of photonic, electronic, heavy particle and atomic collisions. Particular attention is devoted to dynamic phenomena, many-body effects taking place in cluster systems of a different nature — these include problems of fusion and fission, fragmentation, collective electron excitations, phase transitions, etc. Both the experimental and theoretical aspects of cluster physics, uniquely placed between nuclear physics on the one hand and atomic, molecular and solid state physics on the other, are discussed. A.V. Solov’yov and J.-P. Connerade (eds. 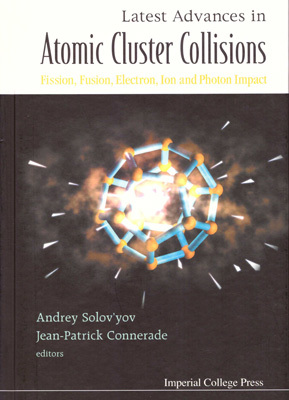 ), Latest Advances in Atomic Clusters Collision: Fission, Fusion, Electron, Ion and Photon Impact, Imperial College Press, London, UK (2004); distributed by World Scientific (2004), 396 p.
This book surveys the general aspects of atomic cluster science and outlines some of its important new challenges. It begins by detailing the recent advances in the understanding of structure and the essential properties of selected atomic cluster systems, fullerenes and confined atoms. Recent advances in the field of photo processes involving atomic clusters and fullerenes are discussed, and an entire chapter is devoted to the problem of fission dynamics of atomic clusters, presenting parallels with similar processes in nuclear physics. The book goes on to describe the problems of electron-cluster collisions with special emphasis on polarization and collective excitation effects. The important area of the behavior of atomic clusters in laser fields is considered; the ionization, collective dynamics of electrons in the system in the presence of the laser field, and the laser induced dynamics of molecules and clusters are thoroughly described. Finally, a broad spectrum of problems in the area of ionic collisions with fullerenes and metal clusters is covered — from both experimental and theoretical points of view — and the results of the most recent measurements are reported. The concluding chapter takes a careful look at the interaction of an atomic cluster with a surface. The problems of cluster deposition and formation at a surface as well as collision processes involving clusters deposited at a surface are considered through a number of illustrative examples. 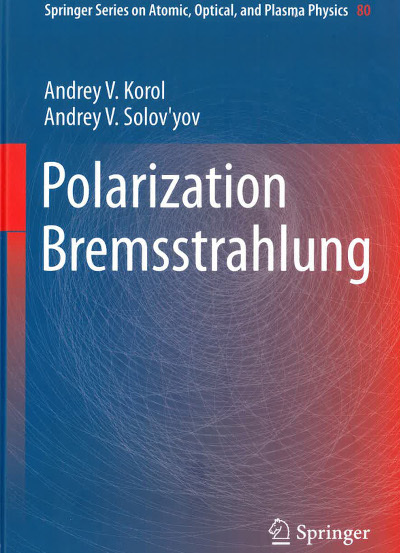 The book presents the achievements made in the period 1980 - 2000 in the theory of polarization bremsstrahlung of structured particles. A wide range of problems associated with the manifestation of the many-particle nature of the structural processes of radiation. Considerable attention is paid to the discussion of the effects due to the relativistic motion of the incident particles and/or electrons in the target. The results of calculations of the emission spectra in collisions of different particles, compares various approximations used for the numerical analysis of the phenomenon. An extensive review of the literature is provided. The book will be useful for researchers and students specializing in theoretical atomic physics. The book is written in Russian.